Season roast with salt and pepper and add to a slow cooker. Add the sriracha and beef stock. 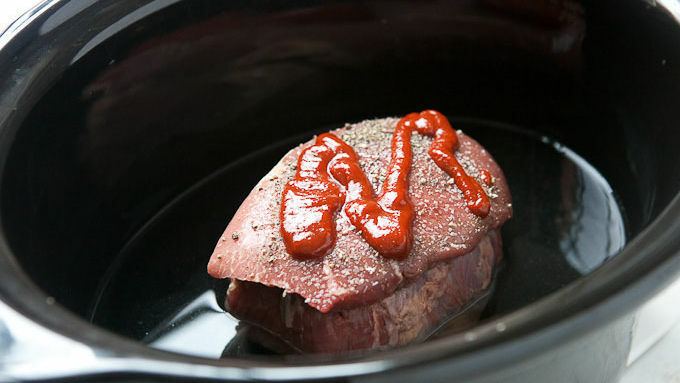 If the liquid doesn't come at least halfway up the beef, add water by the cup until it does. Cover slow cooker and cook 3-4 hours on HIGH or overnight (8-10 hours) on LOW. Remove beef and shred. Pour off cooking liquid and add to a medium pot. Bring liquid to a simmer for 25-30 minutes until liquid is reduced by about a third. This will be the dipping sauce. 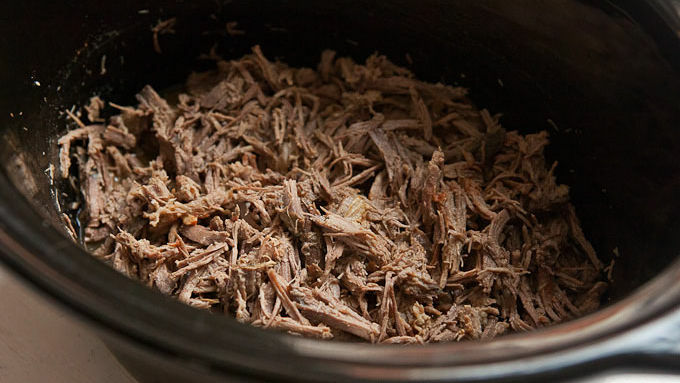 Return beef to slow cooker with 1 cup of the cooking liquid and keep warm until serving. 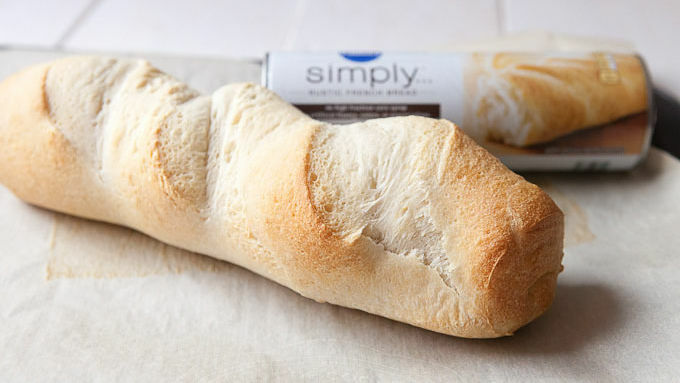 Bake Pillsbury™ French bread according to package. When done, slice loaves in half lengthwise and return to the oven (cut-side down) for 8 minutes to toast bread. 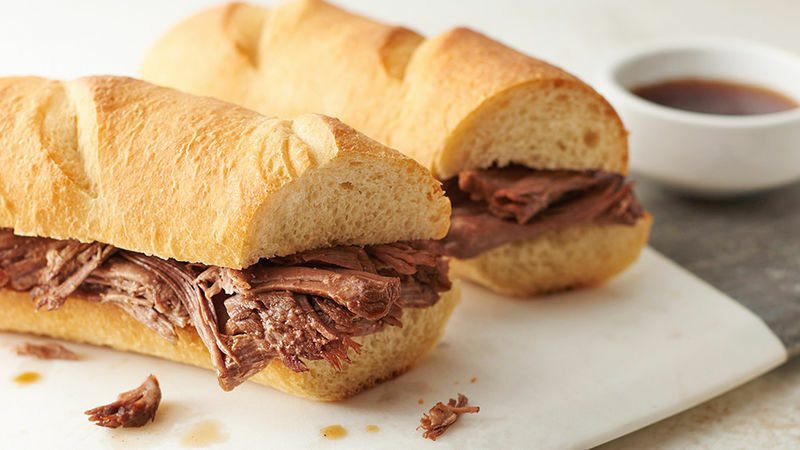 To make a sandwich, pile shredded beef high on half of the French bread. 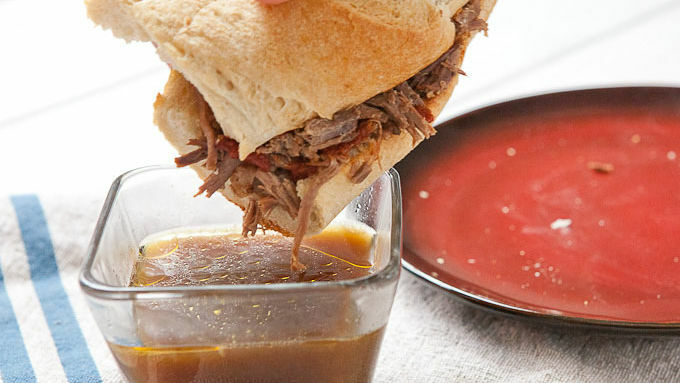 Drizzle with sriracha (optional) and serve with au jus sauce on the side for dipping! An easy weeknight meal that will fill and satisfy on a cold winter night. “The hunch” is not something that detectives use to solve crimes. It’s actually a method for eating sandwiches – when a sandwich is so juicy and delicious, you need to hunch over a plate to eat it without dripping all over you! A good French Dip is a classic “hunch” sandwich. It also happens to be one of my favorite simple sandwiches. Good beef, cooked slowly, good toasted bread and a rich sauce is all you need to make it work. 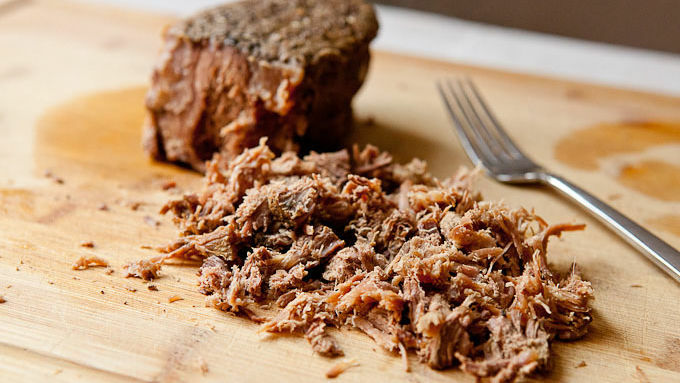 You can make French dips out of almost any roast cut, but one with less fat is better. You should estimate about 1/2 pound of beef per sandwich, so a two pound roast will make four hearty sandwiches. When you’re ready, pile on some of the shredded beef and serve each sandwich with a big dipping bowl of the sauce.